Cass Art is excited to be supporting Central Saint Martins Degree Show One again this year. The knock-out show will feature final year artwork from a number of courses from the Art programme at CSM, including BA Fine Art, MA Fine Art, MA Photography and MA Art & Science. An art college and cultural centre in one, Central Saint Martins College of Arts and Design is internationally renowned for the creative energy of its students, staff and graduates. The Cass Art Prize is awarded to one undergraduate and one postgraduate student selected from the show. The winners were selected by a judging panel looking for an innovative use of art materials, original technique, engagement and relevance in a contemporary art context. One Undergraduate and one Postgraduate student each received £1000 to spend on art supplies at Cass Art. Read on for the winners! 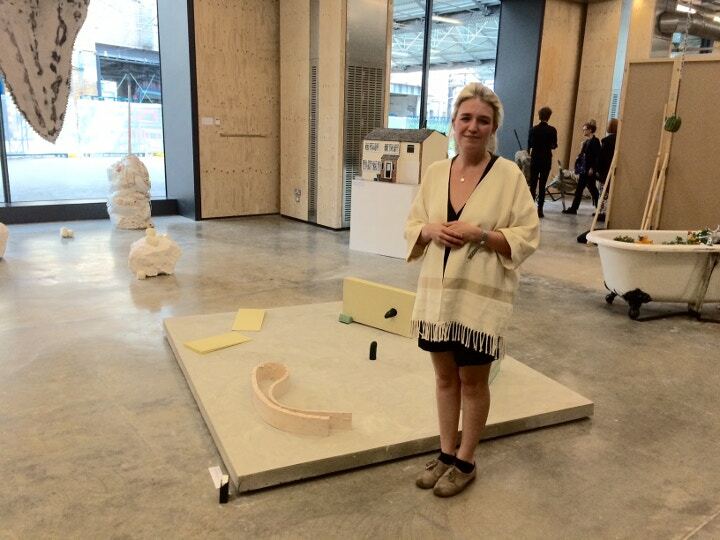 BA Winner - Helena de Pulford, for her piece Prone. 6 <architect's lover>, using unconventional materials of jesmonite, silicone, pigment and concrete. MA Winner - Natalia Davis, for her piece Cascade. 2015, a screen print on aluminium, 1 x 1.6m. A huge congratulations to both of them! Central Saint Martins Degree Show One will be open to the public from Wednesday 27th May to Sunday 31st May. In the week it will be open from 12 noon to 8pm, and at the weekend it's open from 12 noon to 6pm. Last entry is 30 minutes before closing time. Watch the Cass Art blog for individual interviews with the winners soon.